We Make Team Building Fun! It may be called the Epic Selfie Quest, but guests aren’t doing this event on their own – they are taking pictures and videos with their fellow teammates. Using a phone or tablet loaded with a custom game app, each team must capture various “selfies” (photos and videos) to document the occasion. Throughout the quest, staff are scoring team photos and videos behind the scenes, awarding points for taking the correct selfies and for creativity. 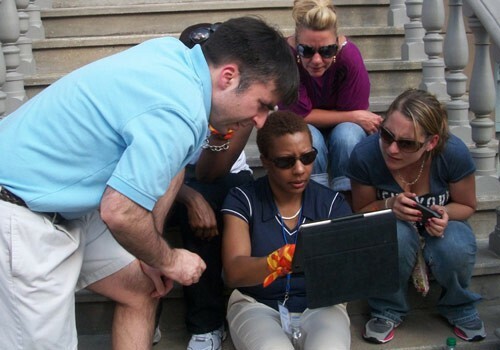 The Hotspot Theme Park Hunt is a high-tech scavenger hunt that has teams exploring the park to find hotspots (GPS locations) throughout the park that unlock challenges. The more hotspots they visit, the more potential points they earn! Participants get to enjoy the park and one another as they answer questions, take photos and film videos. 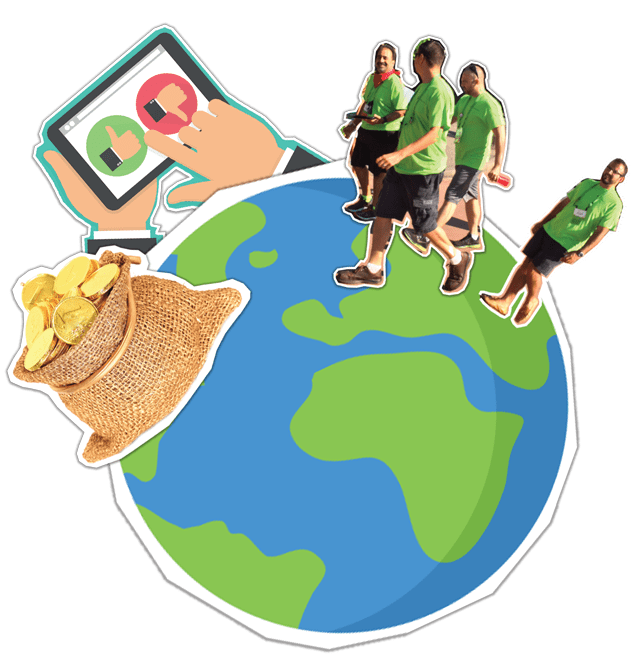 This event, inspired by the television show The Amazing Race, pits teams against each other in a race around a fun event location such as a theme park or resort, entertainment and shopping district, or city center. Teams have a great time chasing down route locations and completing a variety of fun team tasks such as roadblocks, detours, and intersections! 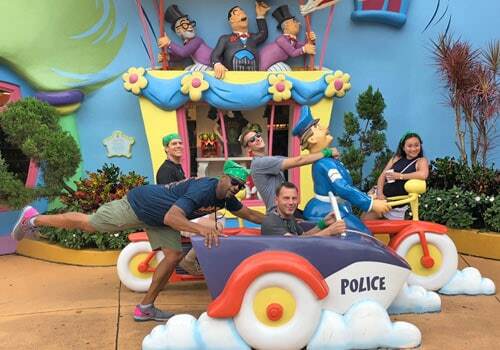 Plan Your Theme Park Team Building Event Today! A communications client hosted an incentive trip for their top sales people. The goals running through their mind were to get guests to enjoy a custom experience at Epcot that would also allow them to earn incentive money based on their results. We were challenged to create a high-tech event that would put the spotlight on the group’s meeting content and corporate partners, as well as incorporate existing props and spaces at Epcot. The event kicked off with their VIP and an actress playing “Alexandra Graham Bell” who released teams into the park before it was open to the general public. Participants used their team iPad to “call up” the challenges and after literally running around the world (Epcot’s World Showcase which was privately reserved for them) teams were welcomed back by their families who were cheering them on with a high five tunnel and signs! 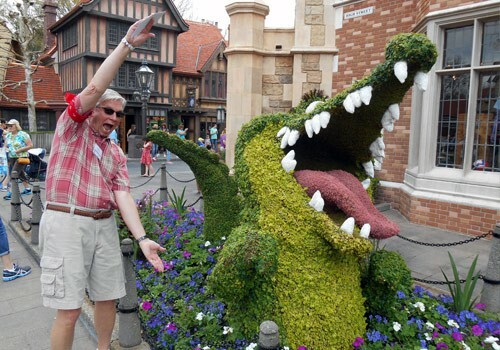 Ready to Plan A Theme Park Team Building Event? Contact Us Today.